A Cron does a benefit that provides jobs to automatically work within this environment of the operation at normal periods by application of the Cron. Crontab exists a record which includes each record from Cron notes to be run and toward whatever circumstances men are to be run. A Cron job is a concept developed and used in Linux shared web hosting and If you want to add similar to this in windows shared hosting, then you have to check for the scheduled task in windows. 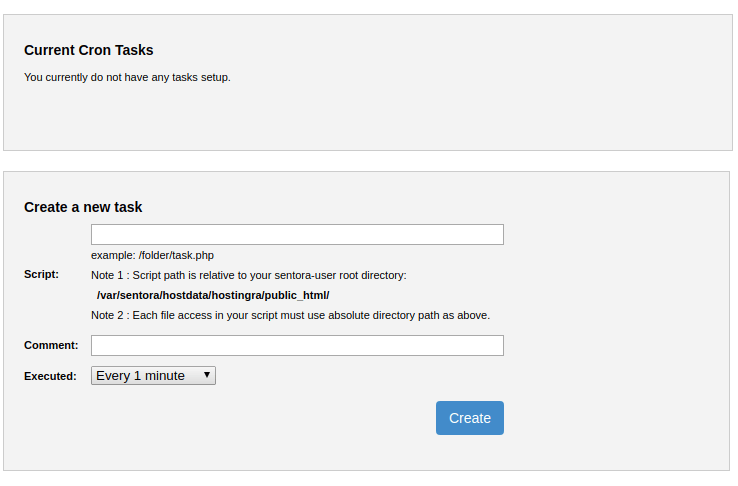 The Cron job lets you to with spread a particular command at times set on the job. As an example, Y'all could set a Cron job to erase temporary data each week so that your disc space is un-being applied up with those data. To access the Cron Jobs tool, click on the similar icon placed in the Advanced section on the main screen of your Cpanel interface. How to use Cron job in Linux/Unix? 2. Make sure the current email address is valid. If not, enter a new email and click the “Update Email” button. 3. Choose the Standard Setting you require. That command automatically converts each separate time frames. 4. Alternatively, you may connect the unique time settings. Minute, Hour, Day, Month and Weekday can be adjusted to obtain your objectives. 5. In the input box to the right of “Command”, type the name of the file type, then add a space and provide the path to the file which you would like the command to run. 6. Click the “Add New Cron Job” button. You have just built a Cron job to perform a file at a specific time and date with the desired repetition. 1. Click on the “Cron Jobs” icon inside cPanel. 2. Scroll down to the last part called “Current Cron Jobs”. 3. Find the right Cron job and click both “Edit” or “Delete”, under Actions. 4. Edit and make the correct automatic tools, therefore it may be simpler to copy the Command, remove the Cron job, and recreate this. What do you set on the Cron job Command? 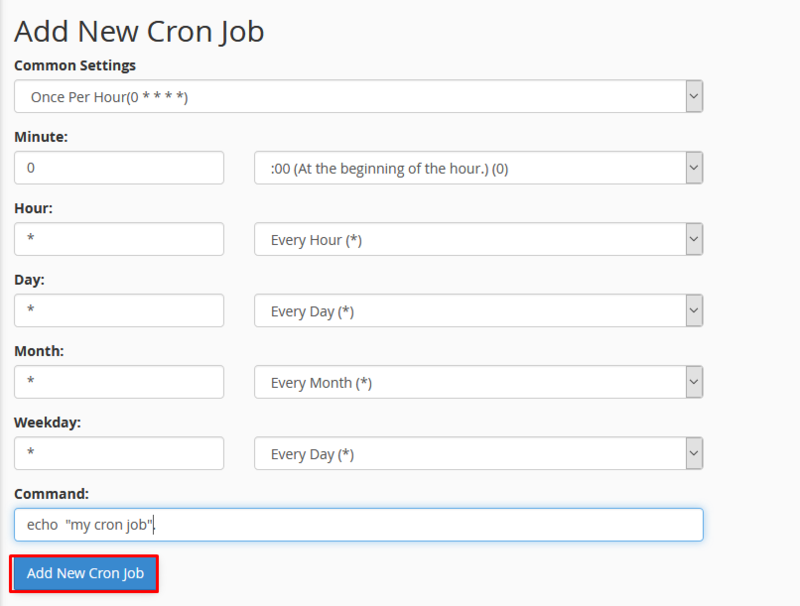 Cron job is a linux command for scheduling a task that needs to be executed on a particular period of time.You can make use of this module to schedule activities, either as one-time events or as recurring tasks. First you need to Login to our WHM Panel. Under List Account Select appropriate user and click on login. In the Advanced section click on Cron Manager Module. Once you click the cron module you will be able to see the list of tasks if already created and also the form to be filled to create a new task. Enter the proper path path of the file under the provided text box. Comment: Enter the appropriate task name. Executed: Select the time duration for the task execution. Once you filled the necessary details click on create. You can delete the job if it is not required by clicking on delete button. If you are calling dynamic data’s from database under cron job make sure that you have set proper memory limit, Max_execution_time and many more under php configuration editor module.